© 1986. Published by Canadian Information Processing Society . 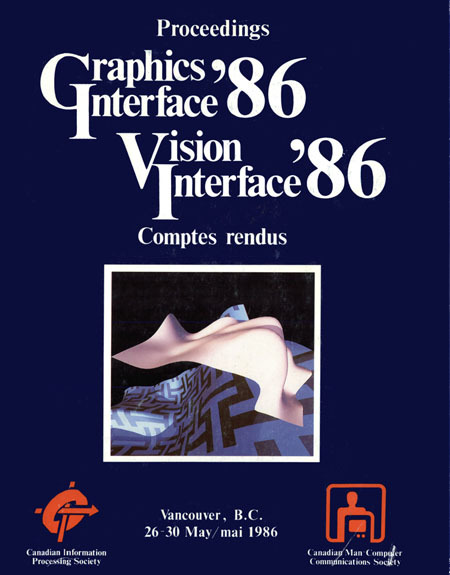 Graphics Interface ’86 was held jointly with Vision Interface ’86 (hosted by the Canadian Image Processing and Pattern Recognition Society or CIPPRS), sharing several common sessions to encourage interaction between these two related fields. In the past, CIPPRS had participated in the program, but not as extensively nor as visibly. A total of 46 papers were presented at the combined conference. What are visual programming, programming by example, and program visualization?